Good news for all Airtel smartphone users holding 4G devices. 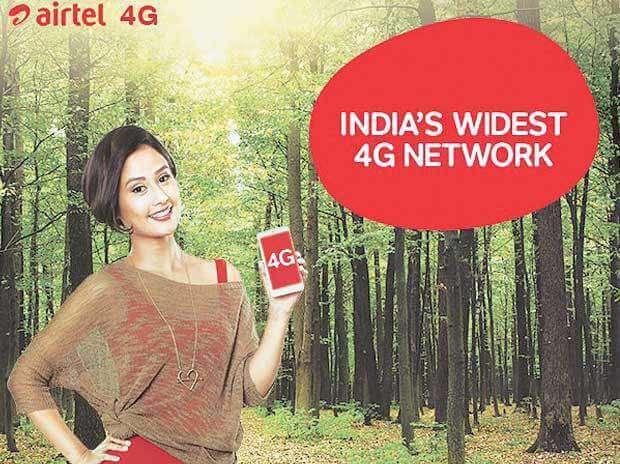 Now one can Get 10 GB 4G Internet Data Airtel Users only at rupees 250. If you are a user of telecom company Airtel then there is a good news for you. Telecom Company Airtel has launched a new plan for its old as well as new customers. Now the company is going to provide 10 GB 4G data to its customers. Now the Airtel users holding Samsung Galaxy J7 can get 10GB 4G data at the cost of 1GB data. This offer is for both old as well as new customers. Now you can get 10GB 4G data at only rupees 250. How to get this Get 10 GB 4G Internet Data Airtel Users? To get this offer the customer have to login at airtel.in/handset-offer from Samsung J series phone. Then you have to follow few simple steps. During this process you have to use internet from your Airtel simcard only. You can also visit your nearest Airtel store and get this offer activated. What If there is no 4G network / 4G not yet launched in your state | Circle? For those Customers who are out of 4G network coverage will get 10GB 3G data in which 9GB data can only be used at night. If you are having any trouble activating this offer on your handset please let us know via comments below.